Sporting a crest that’s as red as Canada’s flag, the pileated woodpecker plays an important role in maintaining the health of our forests. The hard-working bird is the latest species showcased in our annual specimen set, which features a set-exclusive dollar and a world-exclusive specimen finish. On your special dollar coin, the artist Jean-Charles Daumas was inspired by one of his own photographs. 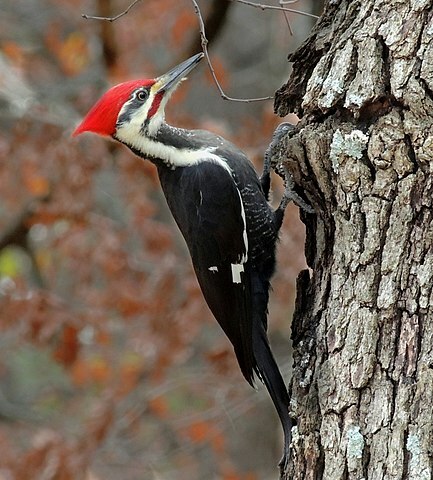 The side-profile view of the pileated woodpecker (Dryocopus pileatus) shows it vertically scaling an oak tree, where it uses its chisel-like bill to widen an oblong-shaped cavity in the trunk. The reverse includes the word “CANADA”, the year “2019” and the face value, “DOLLAR”. The obverse features the effigy of Her Majesty Queen Elizabeth II by Susanna Blunt.